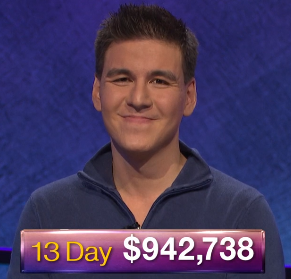 Remember, this week, just like most Jeopardy! tournaments, the 4 best non-winning scores also advance to the semi-finals as wild cards! Correct response: Who is Lyndon B. Johnson? Lyndon Johnson’s twice taking of the Oath of Office came in November 1963 and January 1965, the first after the assassination of John F. Kennedy, and the second after his election in 1964. Josie $2,300 + $2,250 = $4,550 (Who is Fo Lyndon B. Johnson? Here’s the methodology behind the “% chance to advance” statistic. A second-place finish at $11,200 has a 43.455% chance of advancing. Sheldon was correct to be aggressive, as a score of $18,200 advances 97.512% of the time. A bet of $6,600 here would have guaranteed that he stay above Josie, and the extra $400 would not have affected his chances of advancing significantly ($17,800 advances 96.731% of the time). 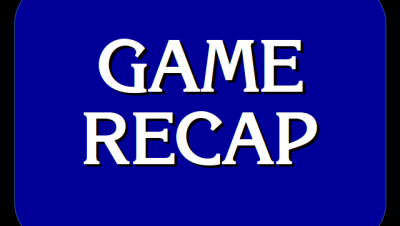 26 Comments on "Today’s Final Jeopardy – April 9, 2018"
ruin the broadcast in Chicago. I saw that after I made my comment so now i’ll miss tomorrow’s Jeopardy! It was helpful that LBJ made a personal effort to verify the correct wording, and have the proper people present, for his initial taking of the Oath of Office on the plane in Dallas. I bet Johnson’s attention to detail there helped to (somewhat) calm what could have otherwise been a highly controversial start to his presidency. There have been multiple “oath mishaps” over the years, so I’m glad that wasn’t the scene of one of them. Obviously, not a happy moment for the United States, but one worth remembering. The only relevant factor to LBJ’s initial taking of the oath on the plane in Dallas was making sure Jackie Kennedy was standing next to him in the photo, so the public would get a sense of legitimacy. Otherwise, he could have taken the oath sitting on the toilet for all anyone cared. Being a presidential expert, this one actually took me some thinking. “Which presidents served more than 4 years?” “Which presidents were assassinated?” “Which presidents succeeded them?” I did eventually get the right answer. Frank, I am no presidential expert but found it rather simple to decipher. They had to succeed a death in office to be only 14 months between oaths. It also was a 20th Century President which narrows it down consooderably. Exactly. You’re looking for presidents who were re-elected after taking office because their predecessors died or resigned. Ford wasn’t re-elected, so in the 20th Century that leaves Teddy Roosevelt, Calvin Coolidge, Harry Truman and LBJ. TR and Truman ascended shortly after their VP terms began so they almost had a full first term as president. So not them. Coolidge would have been a good guess as Harding died with about a year and a half to go, but that was in August 1923 and the next inauguration at that time would have been in March 1925, about 20 months later. I’ll say it again, the key to remembering American history is memorizing the presidents and the dates of their terms. My wife even knew it instantly and she does not care for history at all (sigh) and is from Austria as am I.The picture when LBJ took the oath on AF 1 is almost as famous as the one by Eisenstaedt, when the sailor kissed a strange woman on V day in Times Square. 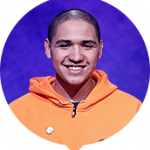 John, I am guessing you already know that the Jeopardy clues tend to be a step easier for the College Tournament than they are for standard adult Jeopardy episodes. So I felt this question fit nicely into the difficult level that college contestants might expect. 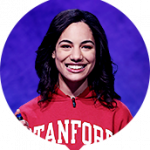 College (and even moreso the “Teen Tournament”) is where viewers at home can find success at Jeopardy a bit easier than they otherwise might expect. Whereas the “Tournament of Champions” is substantially more difficult than normal. Those of us who lived through the 60’s would be more likely to get the answer right than teenagers. Exactly my point, Scott. You nailed it with your second comment.So when it was easier, how come they did not get it? WHAT are they teaching in history classes these days?????? And it was not even foreign history. I was very disappointed. It took only the question “who died in office” or “Who resigned”…..and Cleveland??? Not even 20th century and the only President who served 2 term that were NOT consecutive terms. Don’t be too hard on the college kids. I’m 50 years old and we were never taught about JFK in school, nor were we ever taught about Napoleon. When I was in school American history always stopped with the covering of World War 2. Then again, if a person wants to be on Jeopardy then that person should know above and beyond what is taught in school, as there kids learned on today’s show. I got to watch the show and impressed by the number of correct answers in various categories but calling the auxiliary verb “have” an adverb shows how far we’ve come from diagramming sentences. Teddy Roosevelt was not a bad guess at all. How so, Dan?? Teddy served 2 normal terms. Ford I could have somewhat accepted, since Nixon resigned. But Ford lost the next election to Carter and had Ford been elected, the 2 oaths would have been 1974 and 1977, so more than 14 months apart. Didn’t T. Roosevelt become President after McKinley’s assassination? Roosevelt served almost all McKinley’s first term but not quite. The better second guess would have been Coolidge, whose oaths were 20 months apart (Aug. 3, 1923 and March 4, 1925). That’s a lot of thinkin’ in 30 seconds! Seeing the youngsters (almost) completely wbiff the baseball category while jumping all over the Harry Potter category made my heart weep a little. When I saw the “Saves” title I was hoping it would be a Baseball category, so was a bit amused when Sheldon kept picking it after it was clearly established as a baseball category, despite clearly knowing nothing about baseball. Perhaps he thought the next clue would be different? 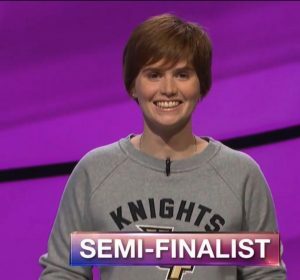 As a historian, though, Hannah’s Final Jeopardy answer really made me laugh. 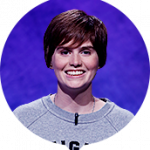 The category is “20th Century Presidents,” and she picks Cleveland, who is not one. And still wins. Ah, the modern state of history at University. For the record, the 14 months means a transition would have occurred in the 3rd year of a term to be that close to an election. That’s actually pretty rare. Of the 9 instances of a president’s term being cut short by death or resignation, 7 were within the first 2 years of a term (5 in the first year). The only two in the 3rd year were Calvin Coolidge and LBJ. Coolidge was 20 months between oaths, so I’m thinking the Jeopardy writers thought he may have been the trap answer. What’s interesting about LBJ being the answer is that Kennedy and he were in Dallas to shore up support for their reelection campaign amid rumors that LBJ was going to be dropped from the ticket (Texas was LBJ’s home state, a fact that has fueled many a conspiracy theory over the years).